Women Have Won About Half of Major Democratic Primaries So Far This YearFinally, a wave of Democratic women running for and winning nominations for high office is producing something close to gender equity. 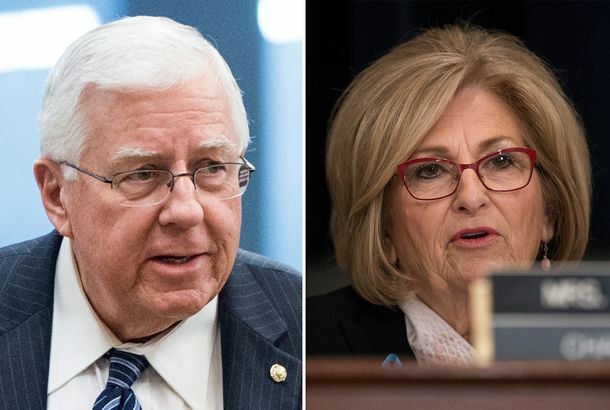 Why Diane Black’s Loss in Tennessee’s Gubernatorial Primary Doubly Hurts the GOPDiane Black’s loss in Tennessee’s gubernatorial primary is another setback for House Republicans running statewide, and also for GOP women. Politicians Join Effort to Nix University of Tennessee Football Coaching HirePols helped irate fans quickly spike the school’s unpopular choice, citing complicity in the Penn State scandal. Tennessee Braces for White-Supremacist Rallies on SaturdayAn even more extreme group than the one that roiled Charlottesville is planning “White Lives Matter” events in Tennessee. House Budget Vote Necessary, But Not Enough, in the GOP’s Tax Cut PlansThe GOP dissenters in the House’s vote on a budget resolution setting up tax cuts indicate some potential problems ahead for the GOP. The GOP Health-Care Bill Was a Mess. The GOP’s Tax and Budget Plans Are Messier.The GOP’s plans to use the budget process for health-care and tax legislation are already half-ruined. The worst could be yet to come. After Trumpcare, Republicans Will Have to Tackle an Even Bigger MessYes, the health-care debacle has stalled budget and tax bills, but Republicans are nowhere close to agreement on the broad outlines of a fiscal plan.